As of October 6, 2017, Jira (Software) Server 7.0 and Servicedesk 3.0 has reached it’s End of Life (EOL). Therefore JIRA 7.0, Servicedesk 3.0 and prior versions are no longer supported by Atlassian. 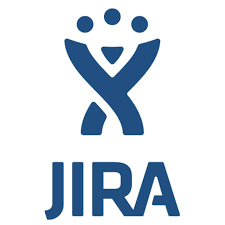 If you want to make use of the all the new features JIRA has to offer it’s wise to upgrade to the latest (stable) version of JIRA. If you have an active JIRA license you are entitled to this version. If you do not have an active license, TMC ALM can help you with the renewal of your license. As an Atlassian Solution partner we can also assist you in the upgrade process or with scanning your current environment for upgrade possibilities and risks. TMC ALM has a wide experience in assessing the status of your Atlassian environment as well in performing scans, health-checks and upgrading the oldest instances to the latest versions. Want to find out if your Atlassian products are up-to-date? Find the list of EOL product here. Let TMC ALM help you by providing the best Atlassian experience possible and contact us today.